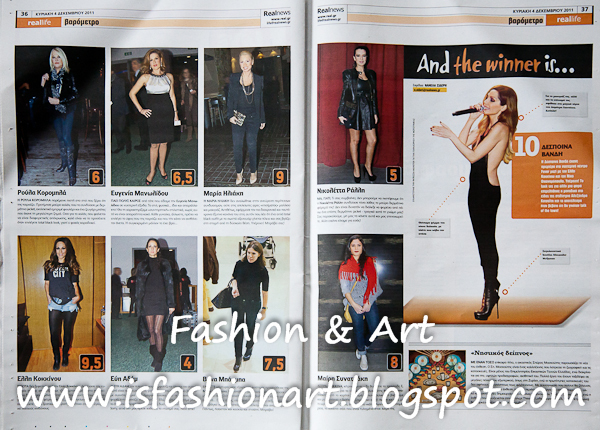 Every weekend Real Life publish the barometer of the week, greek celebrities are getting a rating for what they are wearing and Real Life chooses the "winner". This weekend Despoina Vandi got the coveted 10 with her outfit of Balmain, shoes by Alexander McQueen, styled by Alexandra Katsaïti ! And runner up with a 9,5 Elli Kokkinou! And I captured them together is these outfits!